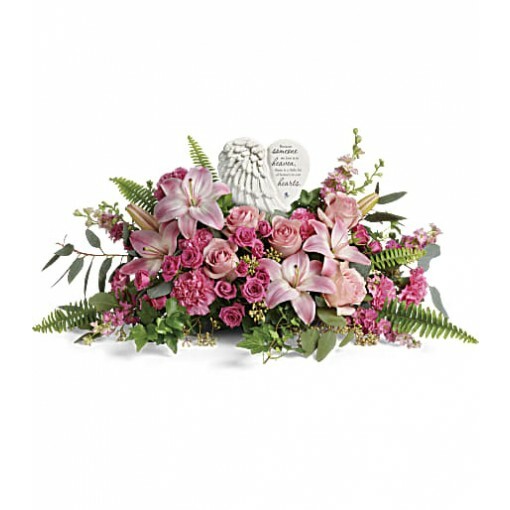 A heartfelt celebration of a truly special life, this magnificent bouquet of pink roses and lilies beautifully surrounds a touching porcelain keepsake they'll treasure forever. 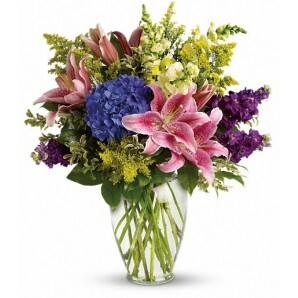 Place order now for delivery 812 945-2544. 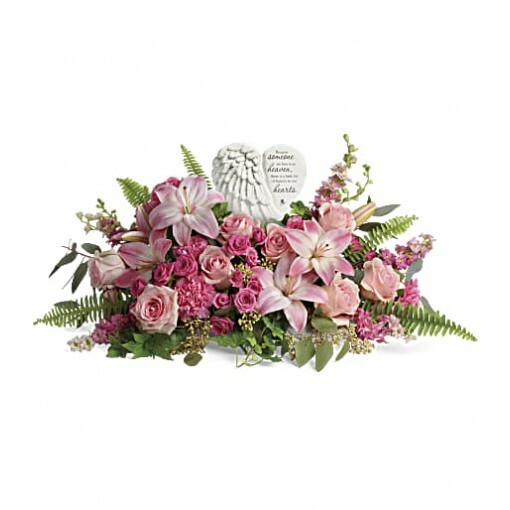 This heartfelt bouquet includes pink roses, pink spray roses, pink asiatic lilies, pink carnations, pink larkspur, green ivy, seeded eucalyptus, silver dollar eucalyptus, and sword fern. 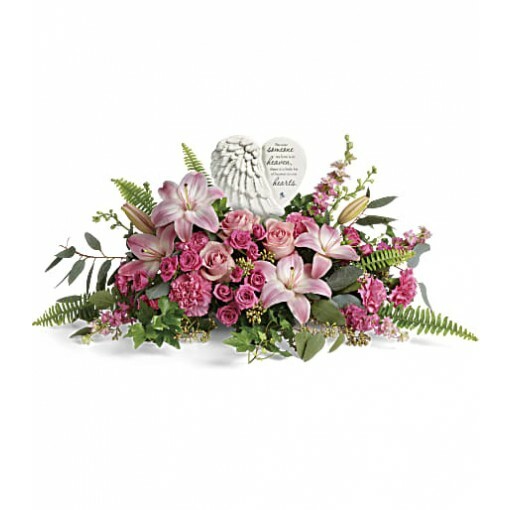 Delivered with a Heaven's Heart Keepsake. 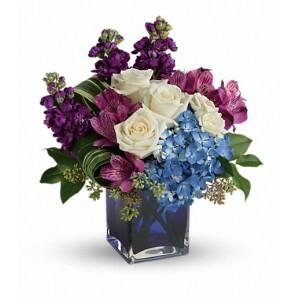 Heart reads: "Because someone we love is in heaven, there is a little bit of heaven in our hearts".